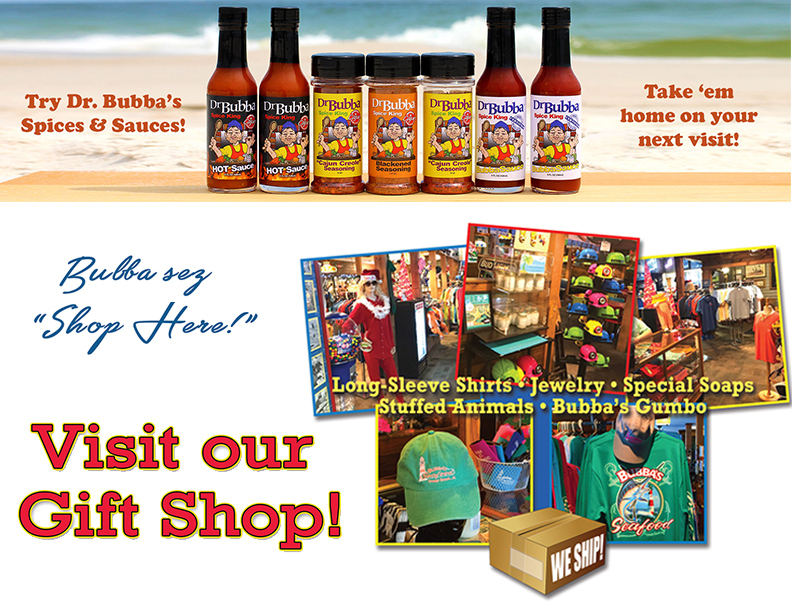 You won’t want to miss the great stuff Bubba has waiting for you in the gift shop! A wide selection of gifts and souvenirs, T-shirts and an array of beach themed stuffed animals to collect. We offer jewelry for adults and children. 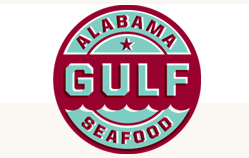 It’s the perfect place to pick up a memento from your trip to the Gulf Coast. Be sure to check out our lighted crab hats and nets, then enjoy an evening of fun on the beach looking for critters. Try a free sample of our salt scrub, you’ll want to take a jar home because every time you open the lid it will remind you of the great time you had. Bubba always stocks a large variety of Comfy Tee’s. There are plenty of styles and sizes to choose from, short and long sleeve, tank tops too. From tiny bobblehead turtles, sunglasses (case you lost yours in the Gulf), you’re sure to find some special item that you just can’t leave Bubba’s without. 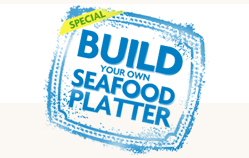 Don’t forget to take home a special something for the house and dog sitter! We pack up our delicious gumbo and ranch dressing in an easy grab and go container, ready to travel. 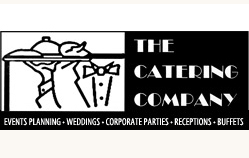 We got you covered even if you get all the way back home and find that you’ve got a hankering for something you should have got, just call us and we’ll ship it to you.